It's official! 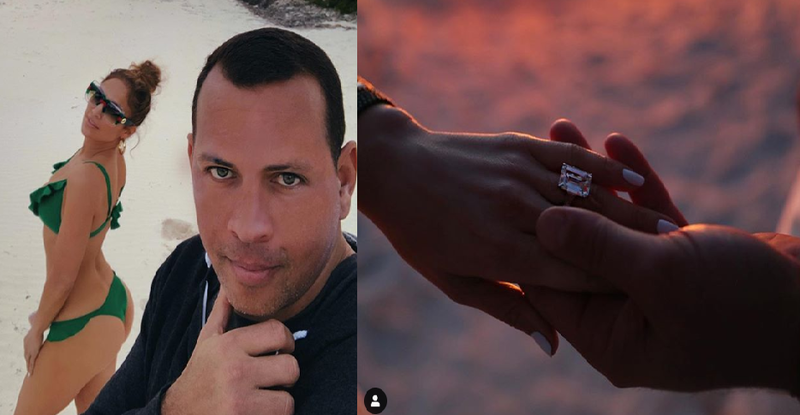 The American singer and actress Jennifer Lopez and retired baseball star Alex Rodriguez are finally engaged after two years. Fans were excited about the news and they're looking forward seeing their idol sharing 'I Do' soon. The moment was added on their Instagram story late Saturday that they are engaged. They posted the picture of their hands at sunset, with a diamond ring. Lopez, 49, and Rodriguez, 43, have celebrated their two-year anniversary on Feb.4. JLO is currently the executive producer and judge on NBC reality dance competition show World of Dance. Fans were hoping that she found her forever, since she has been married three times to Ojani Noa, Cris Judd, and Marc Anthony. However, Rodriguez is a retired baseball player from Major League Baseball in 2016, mostly from New York Yankees. “A soulmate isn’t someone who completes you. No, a soulmate is someone who inspires you to complete yourself. A soulmate is someone who loves you with so much conviction, and so much heart, that it is nearly impossible to doubt just how capable you are of becoming exactly who you have always wanted to be," the message read.